Former Mass. Gov Mitt Romney on Thursday laid to rest rumors that he is considering running for the late Sen. Ted Kennedy's open Senate seat. "Governor Romney's focus right now is on helping other Republicans run for office, and that is how he will be spending his time," Romney Spokesman Eric Ferhnstrom told CBS News. Sen. Kennedy's death opens up a Senate seat in Massachusetts for the first time in 25 years. Under current state law, Kennedy's successor would be chosen through a special election to take place in 145 to 160 days, though Mass. Gov. Deval Patrick said he supports changing the law to allow for an interim replacement until the election is held. There are a number of potential candidates who could run for the Senate seat, and some speculated Romney may be interested. Romney challenged Kennedy for his seat in 1994 but lost by 17 points. The former governor and former 2008 Republican presidential candidate reminisced about that campaign in an essay he published in the National Journal. He described Kennedy's ability to charm crowds and remain politically popular. 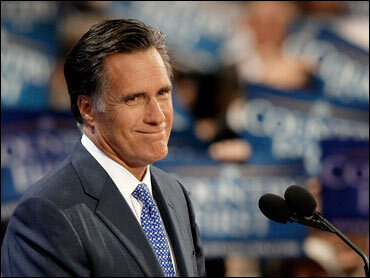 "I could hear him bellowing and people cheering and I thought, 'He's still got it,'" Romney wrote. He also praised the senator for both his professional dedication and personal affability. "We come from different places politically, we weren't buddies, we didn't go to football games together, but Senator Kennedy was a very easy person to be friendly with, easy to strike up a conversation with," Romney wrote. "Whenever I needed help, Ted Kennedy was the go-to guy." While Romney may not be a candidate for the Senate seat, it is widely believed he may be preparing for a 2012 presidential run. Romney has spent the past months cultivating strong positions on major national issues like health care and labor law reform.